The weak interactions are really weak compared to the strong ones. Indeed they are really weak compared to electromagnetism – about 100 billion times weaker. 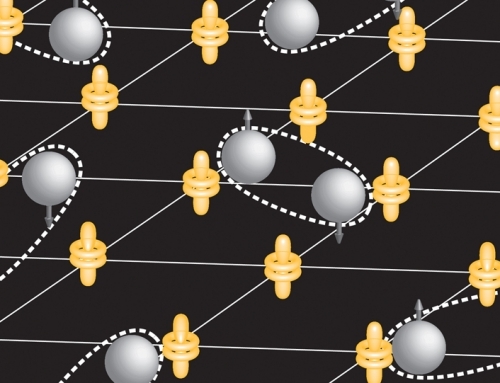 Yet there are also some similarities with electromagnetism. 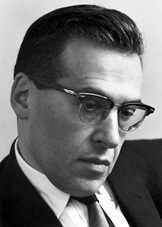 As far back as 1941 Julian Schwinger had felt that these similarities were significant, and took a step forward in a paper of 1957. Schwinger is regarded as one of the giants of fundamental physics, both from the quality of his work and the way in which he inspired and assisted others. He shared the Nobel Prize in Physics in 1965 for his work in unifying the quantum theory of the electron with classical electricity and magnetism. This is the territory known as quantum electrodynamics – the deep interaction between light and matter. Some of his techniques were developed during wartime work on the theory of radar; he started then to look at nuclear physics as an electronics engineer might do. He loved music to such an extent that at one time he wondered if he would become a composer by the age of 30, but a year before that he was a professor of physics at Harvard. To students and colleagues he would sometimes give the appearance of being austere and withdrawn, and would not allow questions in his lectures, but this was part of the high level of concentration he focused on whatever he was doing. His wife recalled after his death that when a little niece was asked why she loved Uncle Julian she said: ‘Because he listens.’ At Harvard he took on a greater number of research students than most, inspiring them to such an extent that four followed as Nobel laureates. One of these, Sheldon Glashow, took the work of linking the weak and electromagnetic interactions a step further. He noted that the weak interactions and electromagnetism can both be categorised by Lie groups, and suggested that that each of these Lie groups would fit together very neatly into a bigger overall Lie group, called U(2). Any hope of confirmation of this meant having to overcome two big challenges. The first of these involved the production of a particle. Electricity and magnetism are the forces which together create light waves and many other forms of electromagnetic radiation, such as radio waves and X-rays. We are used to a very smooth action of electricity and magnetism in daily life, but when these forces act on a very small subatomic particle, it is more of a jerky kind of encounter, that looks like a strike from a very small pulse of electromagnetic energy. This pulse of energy behaves like a particle and is called a photon. So if the weak interactions were to be brought into the same framework as electromagnetism, there would have to be some kind of ‘weak interaction photon’ involved in them as well. Somehow some additional factor had to be found that could be applied to the proposed ‘electroweak’ force, and enable the weak interactions to express themselves in a very tight burst of energy forming a particle. 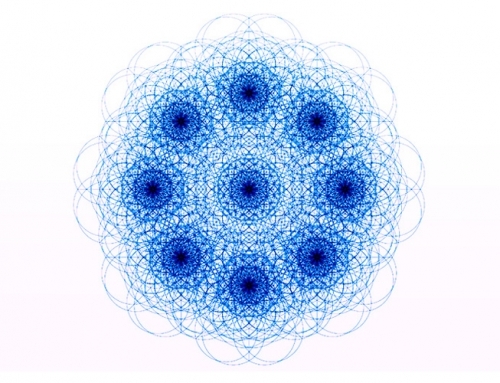 Schwinger knew a method that might do it – an additional type of symmetry whose origin went back forty years. When Michael Faraday introduced the concept of a field, he met almost total disbelief, as no one could see how empty space could carry any kind of imprint. the majority of pysicists of the time saw electricity and magnetism as forces that leaped across a gap, from object to object, indeed like electric sparks. Faraday looked instead at the empty space between objects as the matrix from which the forces emerged. Out in a boat on a lake in Switzerland, he saw a rainbow at the base of a waterfall, with the wind blowing spray across it so that the rainbow disappeared. Then another gust would come and blow the spray in another direction and rainbow would reappear. Faraday felt that in the same way, when all the clutter of matter was removed to leave apparently empty space, deep down there would be a structure – and this is what is expressed by the concept of the field. Now when we map a field, we start to put numbers in, with so many units of field strength at any particular point, and it is reasonable to assume that the overall picture of the field should not depend on the particular location-numbers which we have used on the chart. This is a kind of deep symmetry, whereby we can make many kinds of variations in the mapping system and still retain the exact same description of the field. This turns out to be a much tighter requirement than we might have expected. In fact, if we start with an electric field on its own, we find that the requirement leads us to the appearance of an additional field – which is just the familiar magnetic one. So the reason why electricity and magnetism are linked closely is that this is in accordance with a deep underlying symmetry. 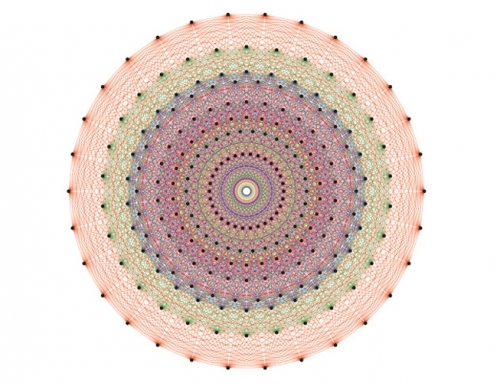 This deep symmetry is called gauge symmetry, and it was first developed in 1918 by the German physicist Herman Weyl, one of the very few at the time who realised the potential power of Lie groups for physics. In 1954 Chen-Ning Yang and his student Robert Mills at the Institute for Advanced Study at Princeton applied gauge symmetry to a model of the strong interactions. 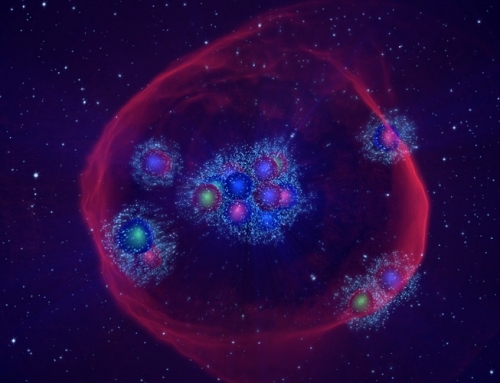 They found that the outcome was a particle that looked like the photon but in addition one or more other particles that had an electric charge and so had more of the properties of the familiar particles such as the proton and neutron. Meanwhile at Cambridge University, a postgraduate research student came independently to the same conclusions as Yang and Mills. His name was Ron Shaw, and he wrote up the idea in his PhD thesis. When taking his first degree there, he used to enjoy discussions with a fellow mathematician, a Scottish student called James Mackay. Thirty years later, when he was writing a textbook, he recalled a particularly incisive comment by the Scot and expanded on it in one section. By that time he was on his way to becoming professor of mathematical physics at Hull University, and James Mackay, who had switched to law after his graduation, was on his way to becoming Lord Chancellor as Lord Mackay of Clashfern. It was the work of Yang and Mills that Sheldon Glashow built on. They found that their ideas could only go so far with the strong interactions and did not continue. 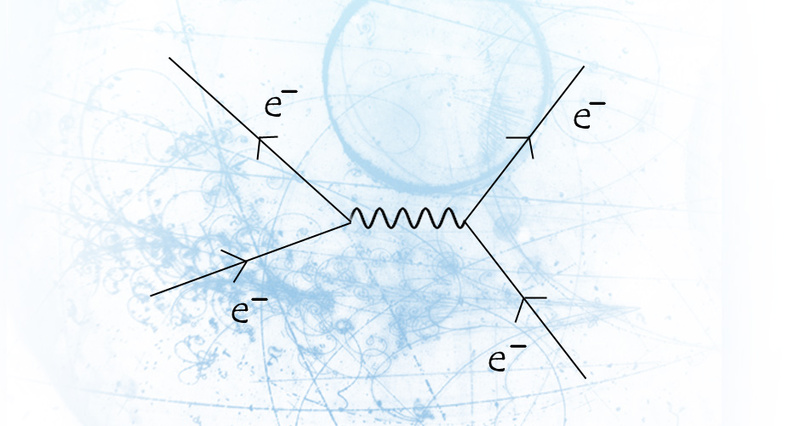 Glashow, on Schwinger’s advice applied their ideas to the proposed electroweak structure. The outcome of the mathematics was something that looked like a photon – and also something that looked like a ‘weak interaction photon’. If his thinking was right, there had to be some kind of particle-like behaviour for the weak interaction, some way in which it involved a short burst of energy. Confirmation of his work would depend on someone getting to work to identify the predicted ‘weak interaction photon’. But there was a snag, so big that it took seven years before the next step was taken, that led to Glashow receiving the Nobel Prize along with two others, Steven Weinberg and Abdus Salam. 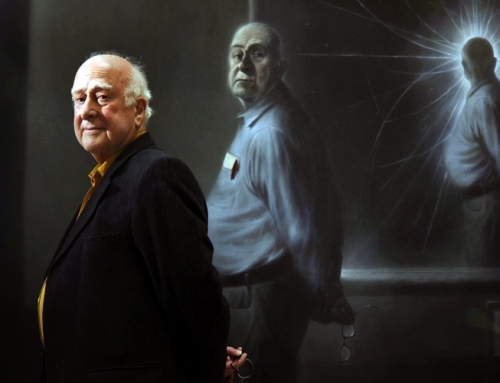 The breakthrough was to come when they heard about the work of Peter Higgs and others and realised that there was a solution.